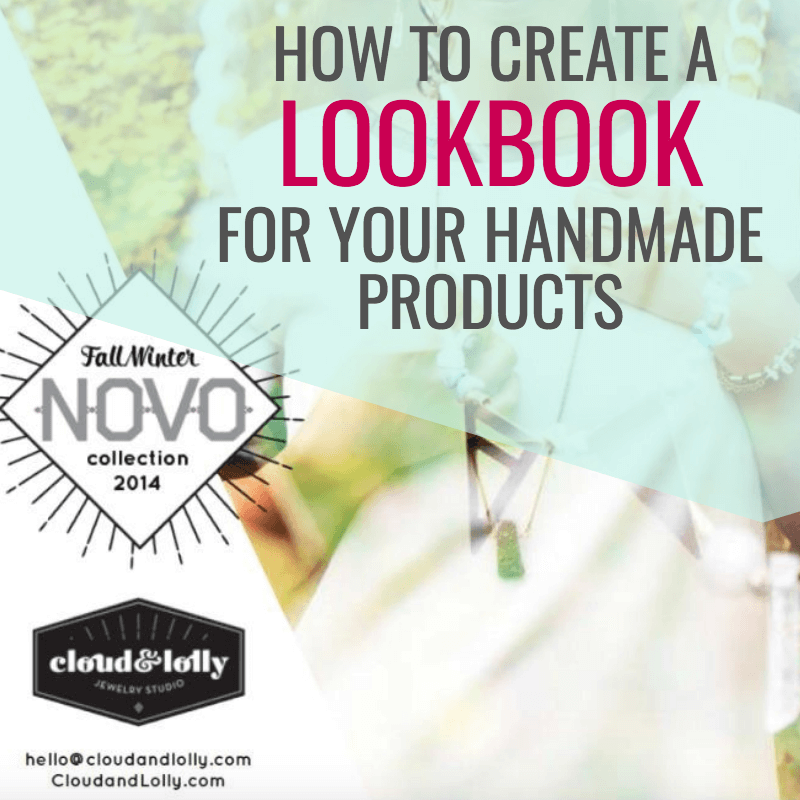 Lookbooks are a great way to show off the products you offer and convey their stories. They’ll come in handy at craft shows, to mail out to existing customers, when you’re pitching to retailers and even online if you create a digital version. The idea is to take some amazing photos of your pieces and add descriptions and details about your products and brand. 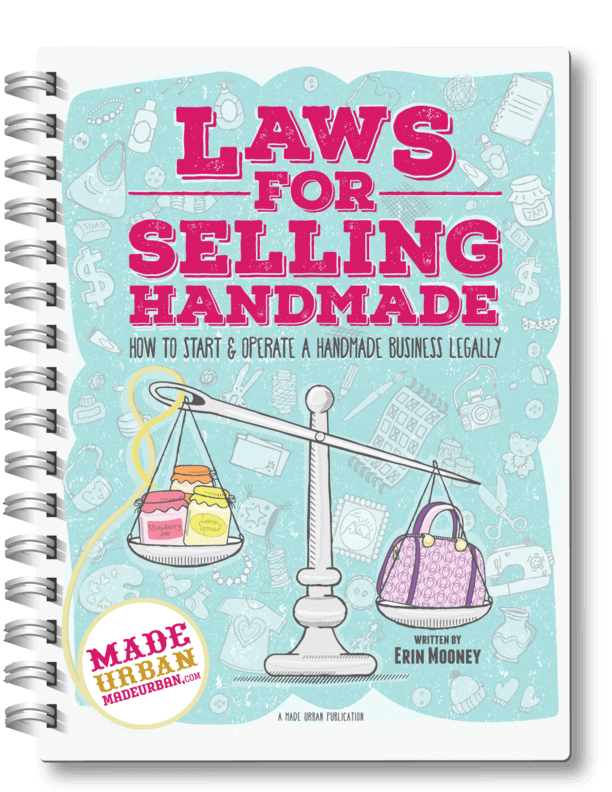 These do take a lot of work and can’t just be whipped together so here are some tips on creating one for your handmade business. We were lucky enough to have Cheryl of Cloud + Lolly share her Fall/Winter 2014 Lookbook with us as well as some of her own tips for putting one together. Keep an eye out for “Cheryl’s Tips” throughout the article and her beautiful lookbook at the end! 1) Decide if you need one – as mentioned, lookbooks take a lot of work to get together so you want to make sure they’re worth the investment. Consider where you will hand them out, whose hands you would like to get them into, how they will be distributed and what you would like to get out of it. If the time and cost of creation and distribution justifies the outcome you expect from them, then let’s get started! 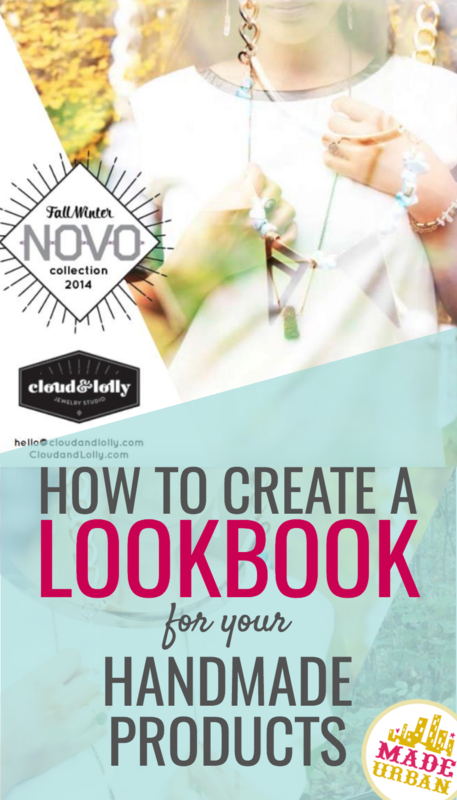 2) Set a date – generally lookbooks come out with each season; spring, summer, fall and winter. Decide when you would like to send your book out and start setting some deadlines so you can get your pieces made, priced and photographed in time. Don’t forget that many retailers do their purchasing months in advance; the same goes for magazine editors when planning their publications. 3) Write your story – what feeling do you want to get across to the people viewing your lookbook? Write down some keywords and think about aspects like colors, text and fonts that will help get your message across. Don’t get too crazy though, you want the images to speak for themselves and keep everything else complimentary and simple. 4) Determine your key pieces – these are the ones that are the showstoppers and everyone oohs and aahhs over. If your collection isn’t too large, you may want to include pictures and descriptions of all your pieces, but if you want to keep it simple and your costs down, stick to just a handful. 5) Brainstorm your layout – now that you have an idea of how many pieces you want to include in your lookbook, start thinking about how you would like it set out, how many pages you’ll need and the type of book you’ll print. You may only need one sheet, which would cut down on costs or you may need a small booklet printed and bound. Cheryl’s Tip: Keep your layout consistent, use quality imagery or graphic elements. Also consider page count. If you’re just starting out 4 is perfectly fine, whereas 8 to 20 is standard for established shops/designers. There are great resources out there if you’d rather purchase a template or a pre-designed layout. Creativemarket.com is one I highly recommend and it’s very affordable. 6) Take some quality photos – if photography is not a skill of yours, you may want to consider hiring a professional. Poor quality photos will discredit the entire lookbook and your brand. Imagine receiving a Sears catalogue full of poorly lit models and blurry images. It wouldn’t give you much faith in them as a company. introduction for the lookbook or each story within the book, an ‘About Us’ section at the back for people who aren’t familiar with your company and of course, contact info. Cheryl’s Tip: I also like to separate the style names, options, prices etc. for the line sheet. 8) Decide on a printer – if you’re going to distribute your lookbook in print form, it’s a good idea to choose a printer first so you know what type of files, dimension and image sizes they need for a quality print job. Cheryl’s Tip: For sharing online ISSUU is a great host. You can publish your look book online, plus it allows you to share it via email, embed it into your website or use it as a presentation. 9) Compile everything – you can either send everything to a graphic designer and have them put it together for you or you can try your hand at it. You can use an editor like PicMonkey to create your pages, combining text and photos and then piece the pages together in a word document. 10) Start Distributing! Make a list of all the places you can send or display your lookbook, both in print and online and get starting on putting it out there. Hi Joyce, thanks for reading! That sounds like a great opportunity for you! And great idea for an article topic, I’ll keep it in mind for the future. As for the challenges, yes, unfortunately the email service I use doesn’t allow a person to sign up for the same challenge twice. What you can do though is either sign up using a different email address or unsubscribe from my emails (there is a link at the bottom of each email) and then sign up for the challenge again.